Ooooo! I gather that the PS4S is a different tyre compared to the PS4 (hadn't realised ). Looking at a full set of PS4 tyres we are talking about £440 plus fitting; the PZeros are about £50 cheaper. No brainer to me - if I was going to change my tyres it's the PS4 for my 18/19 wheels as it's a newer tyre design compared to the PZero. 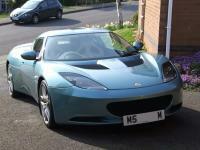 When I got my Evora I had PZeros on the front and Bridgestones on the back. Fortunately, even though the fronts had plenty of tread left they were beginning to crack between the treads block (especially being about 6 year old rubber), so I could justify replacing them as well as the rears, and satisfy one of my OCDs in having the same brand of tyre front and back! . I guess there won't be a problem changing the fronts to PS4 tyres first, and then doing the rears later on in a few month if you are just driving the Evora on the road, but maybe someone else out there has some pearls of wisdom on this. I'm still running P Zeros 18"/19" that I got from Tyre Leader in 2015. The PZero 225/40 ZR18 92Y M0 on their website is £88.48 at the moment, but I found a PS4 in the same size at £89.29. 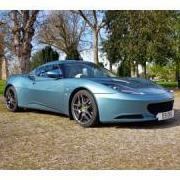 What type is an Evora? I think the Type 124 is one of the race car versions of the Evora (correct me if I'm wrong). I've got a Launch Edition and it's a Type 122. In fact the Type number was included in the VIN of the early cars like mine. The VIN format changed from S/N 0360 of the MY 2010 cars. Not really; I too received the e--mail from PJS Sports Cars. I think it's great that this dealer is being proactive. The message states that Lotus have recently added two additional operations to the vehicle maintenance schedules for Evora and Exige V6; changing the aux belt every 4 years/every 36k miles instead of on condition and the TMPS sensors every 5 years/45000 miles instead of when faulty. My Launch Edition is coming up to 10 years old in September and the aux belt and TMPS sensors are okay (touch wood). I see this as preventative maintenance, just like changing a timing belt every 5 years regardless of condition (I'm glad that the 2GR-FE has timing chains). Yes Phil, Pektron are in Derby. I had two lines of dead pixels in the opposite display (photo in the Evora niggles/faults thread) that was not doing my OCD any good so I contacted Pektron direct. They told me that for contractural reasons they couldn't repair the instrument pack or sell me a replacement and pointed me in back in the direction of Lotus. In the end Isaved up and had a new one fitted, although back in 2015 it cost me less than a bag of sand. Somebody else had an issue with one of the digital displays in the instrument pack of their S1 back in August last year. Pat (Relic222) tried to repair his instrument pack by swapping left and right screen modules, but that fix didn't appear work and I haven't seen an update since. Maybe there is a repairer out there that could fix the instrument pack, but it depends if a repairer is a) willing to do it and b) is able to source replacement parts, especially if they happen to be Pektron proprietary. If any one does find a repairer it will definitely be worth posting on here. I know them as scissor doors. I agree with Steffen; the hinges will probably add weight. Looks very cool on the M250 though (technically it appears to have butterfly doors). Cheers Bibs! That will make my other half happy as her geography isn't great; will pass the info on to her. :-). My missus and little one will have to use the Park & Ride at the Norfolk Showground as they will be arriving later in the daily driver and I'll already be at Hethel. Will it be sign posted off the A47 junction at Longwater? Sometimes it's the web browser. I use Firefox, but on the odd occasion have had to use either Chrome or Edge. Generally Gliptone are pretty good, although they did lose the first sample I gave them. I now keep my leather swatch. I've had no sproblems with Gliptone's Liquid Leather cleaner or conditioner. The Scuffmaster dyes have built-in sealant, but I recommend the Liquid Leather sealant lacquer spray for extra protection. Might be worth trying these people. They don't list Lotus, but they aren't that far from Pektron in Derby who manufacture the instrument packs. http://www.ecutesting.com/instrument_cluster_common_faul.html?gclid=CjwKCAjw8ajcBRBSEiwAsSky_VNLNX1MBNS_QOsDe7PVNZx8j48dyKUEC-juTFEq1Jx2tDQJFIPMqRoCRNcQAvD_BwE BTW do you have any photos of the insides of the instrument pack when you changed over the LCD panels? Back in September 2015 it cost me £815 including fitting, but I beleive the price of instrument pack B132N0005F has gone up since. DeRoure are quoting £1030.65+VAT at the moment. Shame that the screen swap didn't work. The mileage is stored in the instrument pack, but cannot be altered once the odometer exceeds 50 miles according to the Service Notes as I've just found out; this is to prevent clocking. When I had mine replaced in my Launch Edition the Lotus dealership that did the work put the correct mileage in using TechCentre, but the instrument pack was new. It looks like your only option, without going down the road of buying a new instrument pack, is to swap over the digital display with the spare you have in the hope that it fixes the problem. Fingers crossed. Help me make my mind up! Just looked up in the Service Notes about drive away locking and it states: "Dynamic (drive away) Locking This selectable feature will automatically lock the doors when road speed first exceeds 10 mph (15 km/h). The doors will remain locked until either the interior door lock switch is pressed, or each door is unlocked manually by lifting the door sill button. To select Dynamic Locking, turn on the ignition and hold the interior door locking switch pressed for at least 5 seconds, until a single beep is heard as confirmation. The feature will remain selected throughout further ignition cycles until the switch is again pressed for 5 seconds and a double beep is heard, confirming de-selection."